Can you believe it? It has been 5 years since I started this cockamamie live blog writing about all things Masters, schwag, players headed for the glue factory among many other musings. Join me won't you for Day 1 of this rambling coverage? 7:00pm: So the day ends with Jordan on top and a bunch chasing. One of the more intriguing chasers is P Reed. He showed Jordan what’s up in match play at the WGC so will Jordan show him what’s up at Augusta? Pretty disappointed in Noren and Harman’s performance today. They are both grinders and sometimes they run out of steam. Can the get some steaks and energy tonight to really bring it tomorrow? I think Kuchar is destined to be a bridesmaid never a bride. Sure he is close after round 1 but I just have this feeling about him smiling his way into the top 10 but not much else. So there you go, round 1 in the books. Be sure to come back tomorrow for all of the round 2 hijinks sure to happen! 4:10pm: The last time Jordan won at Augusta he had a do or die chip shot on 18 during the first round to avoid a huge number. Guess what he just did on 18 again to be once again leading the tourney? The guy is Mr Automatic at Augusta and is clearly the guy to beat the next 3 days. My favorite for the tourney Noren turned in a respectable +2 round but is really going to have to turn it on to get back into contention. Full recap in a bit! 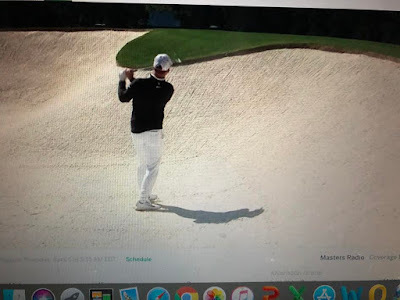 2:25pm: So apparently Sergio did his best to break Twitter and the Masters by shooting a 13 on a hole and here is my take. Sergio was the best without a major for so long that when he finally won, that was it. I never bought into that the win would then springboard his me to more majors. He totally has the game to compete and win at any tourney but I think now that he has won he can just sit back and launch ball after ball into the water Tin Cup-style without a care. And that is totally fine with me! 12:00pm: yes yes Leish is not European he is Australian. I will drink two cans of Fosters as punishment. Ok otherwise how is the tourney looking? Hadwin, who I really dig but didn’t think Augusta is surging near the lead. 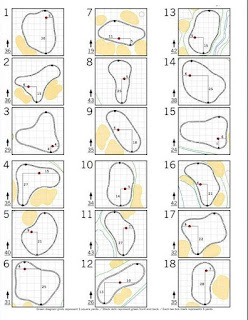 The course looks great and there is a fantastic lack of mashed potatoes or get in the holes and I HIGHLY recommend the PGA Tour adopting these rules. 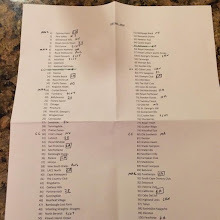 11:00am: I could care less where a golfer is from but I do find it interesting that the first page of the leaderboard is stacked with Euros (Leish Wies Stens etc.). They always seem to excel in Georgia for whatever reason, maybe the peach ice cream sandwiches? 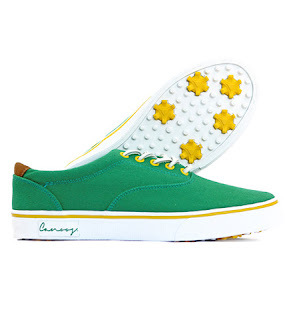 9:50am: Another great piece of schwag tied to the Masters are these Canoos shoes. I have a pair that they made for the Walker Cup and are super quality. Wish I was walking around ANGC in these right now! 9:25am: Doc Redman is currently tied for second place as an amateur. I have watched this guy play and while he doesn’t wow you with any part of his game, he is so damn good at all of it that I think he is going to make a heck of a pro. 8:45am: The greens have SO MUCH SLOPE to them. I can't remember the last time seeing pros walk all the way up to the hole and then back again just to get a sense of the undulations. I know no one will get docked for pace of play issues but wow the greens cause so much deliberation! 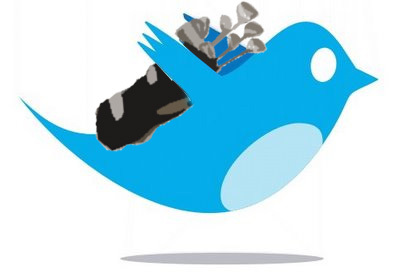 8:30am: I am currently ignoring all things Tiger yet my Twitter feed is averaging 1 mention of Tiger for every 3 tweets. 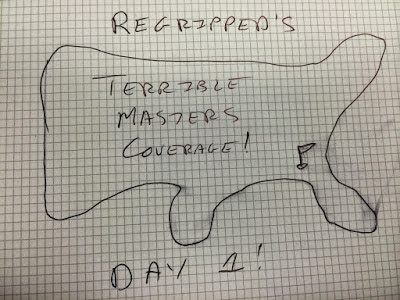 After 20+ years, there has to be a balance coming at some point between Tiger coverage and coverage of every other golfer right? Right? 8:10am: The par 4 third hole has to be one of my favorites on the course. 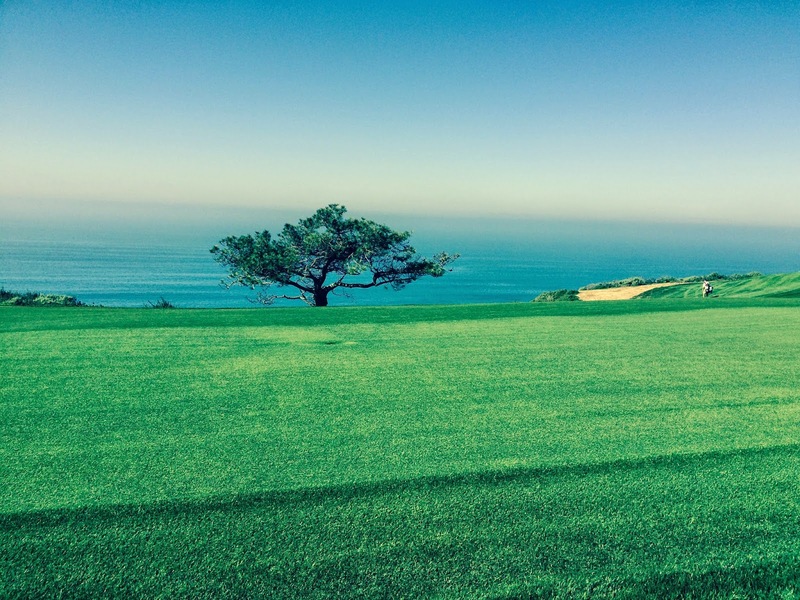 It is a shortish par 4 (350 yards) with an absolutely insane green complex. 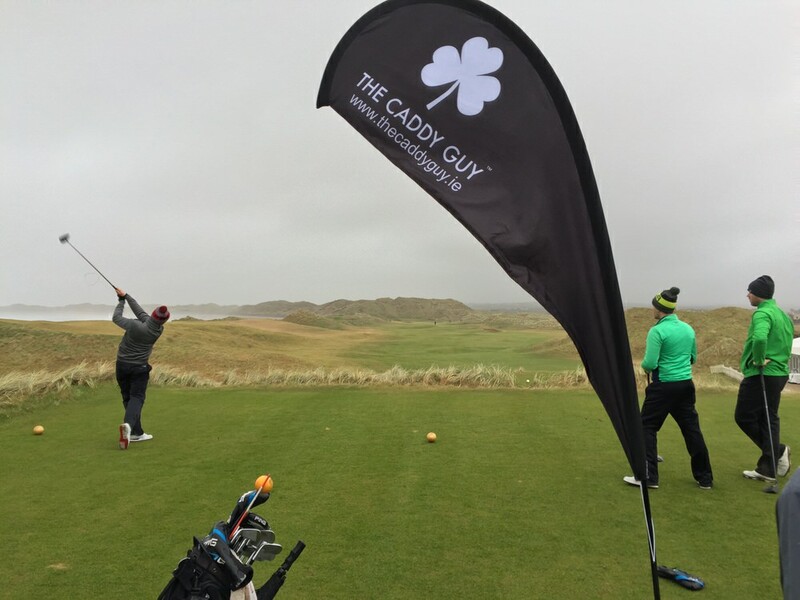 Plus it is one of the toughest holes at the moment, only yielding a few birdies and many more bogeys. 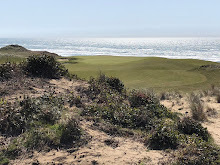 It is a shame they didn't show the first 9 holes for so long on TV but now in the golden age of streaming, I will take all that I can of this front side. 7:55am: So many golfers have hit it left on the first hole but because they are pros, their recovery shots from the trees have been amazing. It makes me want to go out to the woods with the squirrels and hit punch shots for awhile. And then have some peach tea with the squirrels. That is perfectly natural right? 7:40am: I agree with the Fried Egg's assessment of ANGC, it would become much more interesting if they added back in center line bunkers to the course. Paul Casey found himself in a fairway bunker and look at how glorious it was! 7:30am: Patton Kizzire is channeling all weekend hacks by hooking two consecutive drives left with double bogeys looming on consecutive holes. I always marvel at the consistency of the pro game and it also fascinating when it comes completely unglued like poor Patton seems to be. 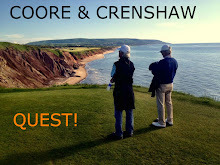 7:10am: Ok, ok, settling down now and finally featured group coverage! It looks like we will have some solid groups to start the day. 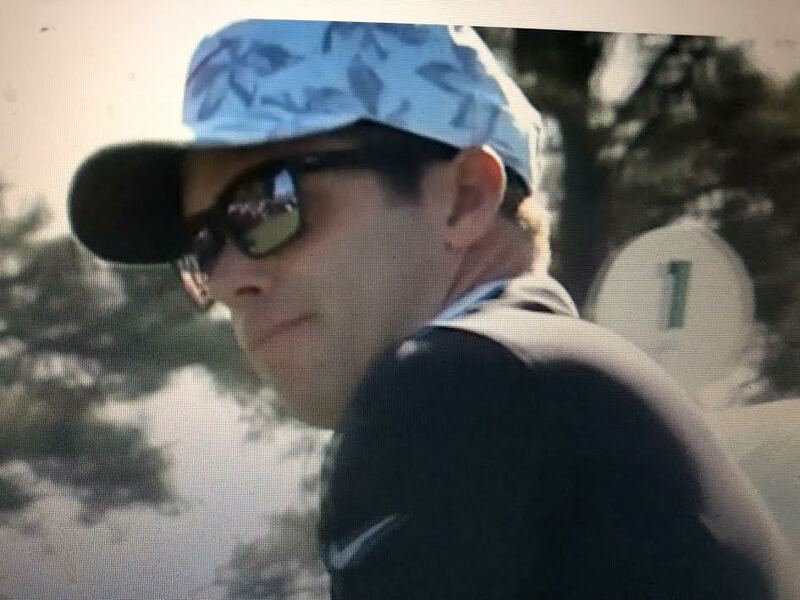 I am most interested in Paul Casey as he is playing well but I didn't pick him for any of my Masters pools. I am not sure if his game is a good fit for ANGC but what do I know? I just know he is rocking a sweet hat. 6:45am: Whoa boy, we have now reached the official lull in the streaming broadcast. There are only so many Amanda interviews and practice shot pro tracers that can take place before I start losing my mind for live golf. I realize golf has a long day compared to any other sport but at some point I would be willing to pay to have coverage on demand. 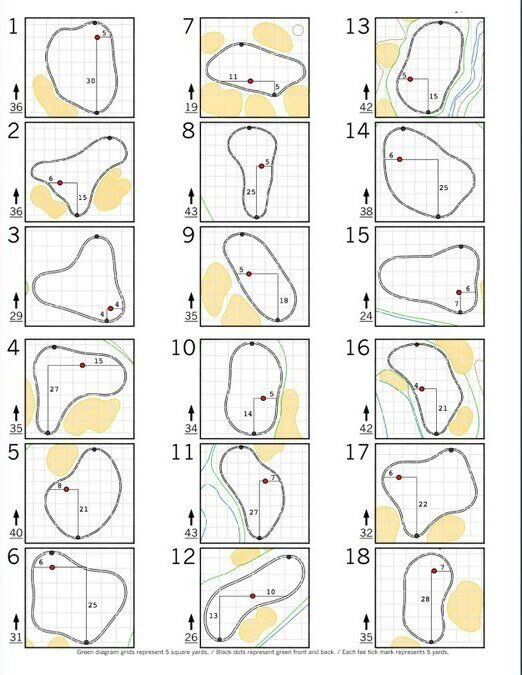 To help me through it all, here is the pin sheet for today! 6:15am: Ok Masters on the Range is great and all but when are we going to get the action? I love golf more than most people I know but even I have my limits here watching guys hit shots on the range (even with pro tracer). Limits people! 6:00am: Hot mike alert, hot mike alert! 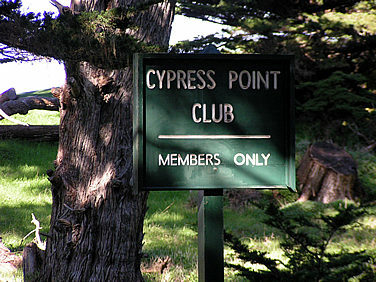 The Masters is always so well put produced, even Masters on the Range which doesn't need such high production values. I mean it is just pros practicing. Still a tight broadcast but we actually have hot mikes picking up real-deal dialogue. For some reason this makes me happy, I am a weirdo. 5:55am: The ceremonial tee shots have been struck signaling the beginning of the tourney. I wasn't even born yet when Nicklaus was tearing it up in the golf world but still it somehow makes me feel old having him be the ceremonial start of the tourney. Once he and Gary Player retire from these duties who is going to fill their shoes? How weird would it be to see Faldo do this? 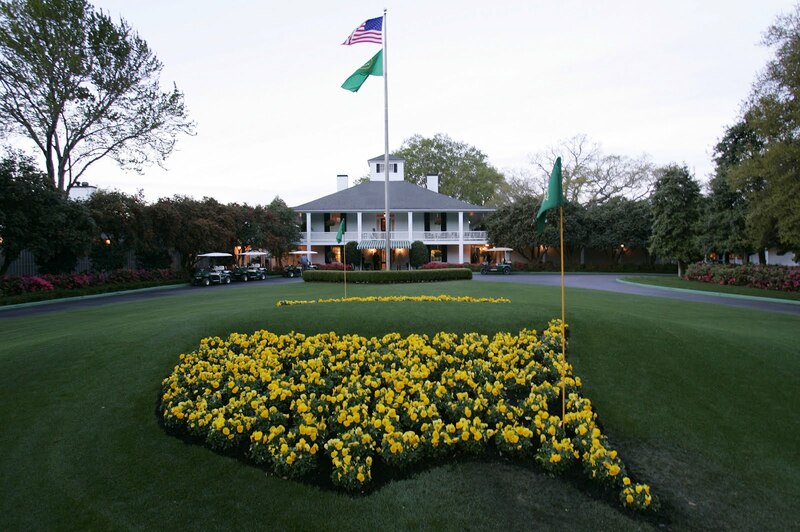 The Masters is officially under way. 5:35am: Tuning in to Masters on the Range and great to see Amanda Balionis on the news mike giving us news that Tony Finau is going to try and play despite spraining his ankle in yesterday's par 3 contest. Tony definitely wins the DJ-weird-injury award. Amanda (along with the PGA's Teryn Schaefer) brings a great, fresh energy to hosting and golf reporting and I am all for them gaining more prominent roles in golf broadcasts. Golf needs new voices for the new generation (whether watching via streaming or otherwise) and am excited to see where Amanda goes next.